This is an undated image of UC Berkeley. 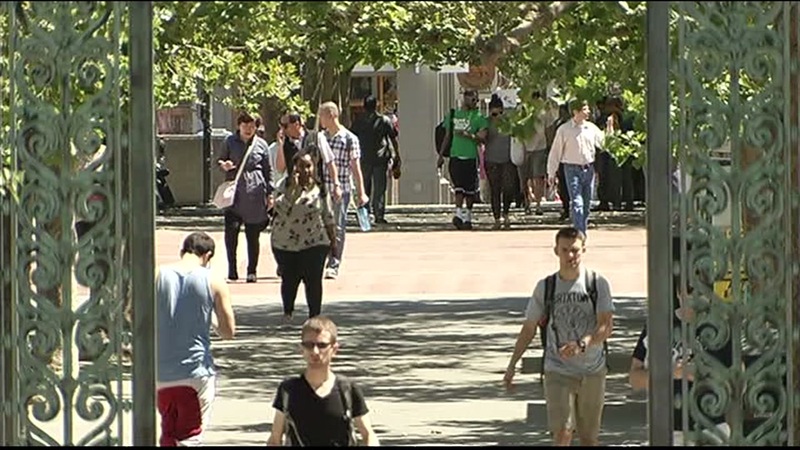 BERKELEY, Calif. (KGO) -- A student was beaten into unconsciousness by three men early Sunday morning at a University of California at Berkeley residence hall, campus police said. Officers got a call at 12:39 a.m. from witnesses regarding an alleged assault at Unit 3, a residence hall at 2400 Durant Ave., according to police. The victim got into an altercation with three other men, police said. The men beat the victim, who lost consciousness and was taken to a hospital. The suspects walked away on Durant Avenue, police said. Officers searched but could not find the suspects. The first suspect was dressed in all black, and the second suspect was wearing a red hat, a white shirt and blue jeans. The third suspect was wearing a plaid shirt and white shoes, according to police. Anyone with information is asked to contact campus police at (510) 642-0472 during business hours or (510) 642-6760. Bay City News contributed to this post.